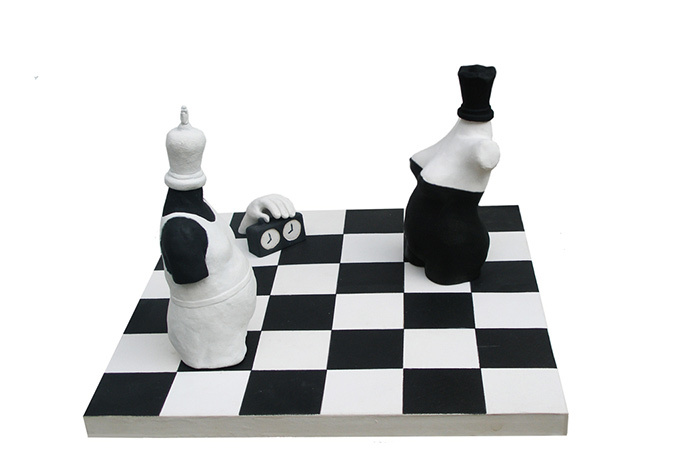 A game of chess, the game of life, the game of a couple’s relationship, cannot last indefinitely. This is true of all games. Time’s merciless hand lurks to signal the game’s end; the end of its duration.Time passes and forces the bodies and the relationships of any couple to decline, even if they are the King and Queen. 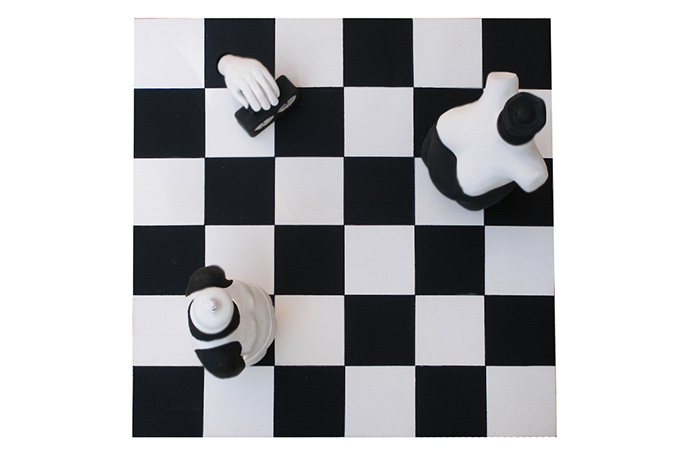 When that comes, oppositions become more intense, just like it happens on the chessboard. At the same time, the movements of love and hate between the couple are intensified. 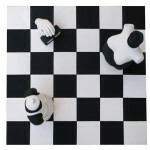 Who will checkmate the other, at the end? 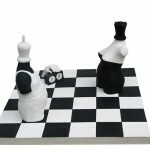 Will it be the black /white King, the white/ black Queen, or the Timer signaling the end of the game?